Caught up in this explosive situation are the Catholic Joubert family. Bernard, the Father, Minou the eldest daughter, Aimeris her brother and little sister Alis. One Day Bernard returns from his travels and refuses to leave the house, forcing Nineteen-year-old Minou Joubert to take charge of his small bookshop. Minou then finds her life thrust into mystery and intrigue after she receives an anonymous letter at her father’s bookshop. Sealed with a distinctive family crest, it contains just five words: SHE KNOWS THAT YOU LIVE so Minou tries unsuccessfully to decipher the mysterious message. Elsewhere , and an idealistic young Huguenot convert, Piet Reydon, meets old friend Vidal, a high ranking Catholic clergyman is intent on gaining power and authority in the French Catholic church and will stop at nothing to get what he wants. Piet finds himself in grave danger when ferocious fighting breaks out between the Catholics and the Huguenots and decides to escape Carcassonne for Toulouse. Meanwhile in Toulouse the religious divide deepens in the Midi, as sectarian tensions ignite across the city, the battle-lines are drawn in blood, conspiracies are unearthed and old friends become enemies, Whilst fleeing Piet encounters Minou and their lives become inextricably linked and they find themselves facing new dangers when they are both trapped in Toulouse and he will need Minou’s help if he is to get out of La Cité alive. Meanwhile, a long-hidden document threatens to resurface, threatening the status of Blanche de Bruyere the mistress of Puivert who will stop at nothing to protect herself and is obsessed with uncovering its secret and strengthening her power. Soon Piet and Minou find themselves being sought by both Blanche de Bruyere and Vidal who are both after the same thing. 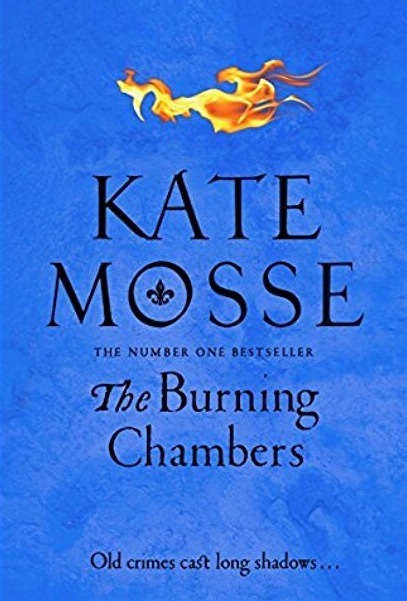 Having already enjoyed many spooky, atmospheric novels by Kate Mose, such as Labyrinth, Sepulcher, Winter Ghosts, Citadel, Mistletoe Bride And The Taxidermists Daughter, I would like to read The Cave by Kate Mosse. This Short story takes place March 1928. It features Freddie Smith who is on a motoring holiday in the mountains of south west France. He is caught in a violent storm and his car crashes. He is forced to seek shelter in a boarding house in the nearby village of Axat. There he meets another guest in the tiny hotel, a pale and beautiful young woman called Marie. As the storm rages outside, she explains how the region was ripped apart by wars of religion in the 14th century. She tells how, one terrible night in March 1328, all the inhabitants of Axat were forced to flee from the soldiers into the mountains. The villagers took refuge in a cave, but when the fighting was over, no one came back. Their bodies were never found and Axat itself became a ghost town. Best known as the author of The Hitch Hiker’s Guide to the Galaxy, English author Douglas Adams, sadly passed away on 11th May 2001. Born 11th March 1952 in Cambridge, England, he attended Primrose Hill Primary School in Brentwood. At nine, he passed the entrance exam for Brentwood School, an independent school whose alumni include Robin Day, Jack Straw, Noel Edmonds, and David Irving. Griff Rhys Jones was also a year below him. He attended the prep school from 1959 to 1964, then the main school until December 1970. He became the only student ever to be awarded a ten out of ten by Halford for creative writing,Some of his earliest writing was published at the school, such as reports or spoof reviews in the school magazine Broadsheet He also designed the cover of one issue of the Broadsheet, and had a letter and short story published nationally in The Eagle, in 1965, he was awarded a place at St John’s College, Cambridge to read English, Which he attended from 1971, though the main reason he applied to Cambridge was to join the Footlights, an invitation-only student comedy club that has acted as a hothouse for some of the most notable comic talent in England. He graduated from St. John’s in 1974 with a B.A. in English literature. After leaving university Adams moved back to London, determined to break into TV and radio as a writer. The Footlights Revue appeared on BBC2 television in 1974 and also performed live in London’s West End which led to Adams being discovered by Monty Python’s Graham Chapman. The two formed a brief writing partnership, earning Adams a writing credit in episode 45 of Monty Python for a sketch called “Patient Abuse”, which plays on the idea of mind-boggling paper work in an emergency, a joke later incorporated into the Vogons’ obsession with paperwork. Adams also contributed to a sketch on the album for Monty Python and the Holy Grail. Adams also continued to write and submit other sketches, though few were accepted. In 1976 he wrote and performed, Unpleasantness at Brodie’s Close at the Edinburgh Fringe festival. Some of Adams’s early radio work included sketches for The Burkiss Way in 1977 and The News Huddlines. He also wrote the 20 February 1977 episode of the “Doctor on the Go” television comedy series, with Graham Chapman. After writing the Doctor Who episode “The Pirate planet” Adams became the script editor for Doctor Who’s seventeenth season in 1979 and wrote three Doctor Who serials starring Tom Baker as the Doctor: The Pirate Planet, City of Death and Shada. Adams also allowed in-jokes from The Hitchhiker’s Guide to appear in the Doctor Who stories he wrote and other stories on which he served as Script Editor. 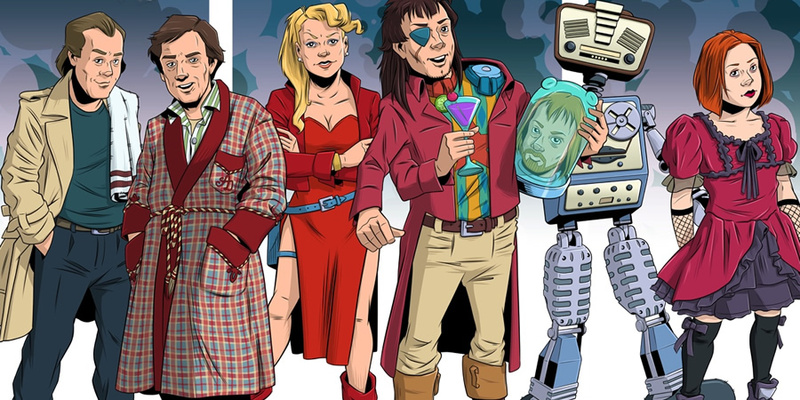 Elements of Shada and City of Death were also reused in Adams’s later novel Dirk Gently’s Holistic Detective Agency, Adams is also credited with introducing a fan and later friend of his, the evolutionaruy biologist Richard Dawkins, to Dawkins’s future wife, Lalla Ward, who had played the part of Romana in Doctor Who.Adams also sent the script for the HHGG pilot radio programme to the Doctor Who production office in 1978. The Hitchhiker’s Guide to the Galaxy started As a concept for a science-fiction comedy radio series pitched by Adams and radio producer Simon Brett to BBC Radio 4 in 1977. Adams came up with an outline for a pilot episode, as well as a few other stories (reprinted in Neil Gaiman’s book Don’t Panic: The Official Hitchhiker’s Guide to the Galaxy Companion) that could potentially be used in the series. It started life in 1978 as a BBC radio comedy and a after the first radio series became successful, Adams was made a BBC radio producer, working on Week Ending and a pantomime called Black Cinderella Two Goes East. The Hitchhiker’s Guide to the Galaxy was also developed into a series of five books that sold over 15 million copies in his lifetime, a television series, several stage plays, comics, a computer game, and in 2005 a feature film. Adams’s contribution to UK radio is commemorated in The Radio Academy’s Hall of Fame. Adams also wrote Dirk Gently’s Holistic Detective Agency (1987) and The Long Dark Tea-Time of the Soul (1988), and co-wrote The Meaning of Liff (1983), Last Chance to See (1990), and three stories for the television series Doctor Who. 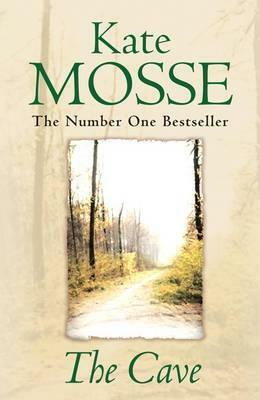 A posthumous collection of his work, including an unfinished novel, was published as The Salmon of Doubt in 2002. He submit a potential movie script, which later became his novel Life, the Universe and Everything (which in turn became the third Hitchhiker’s Guide radio series). Adams also played the guitar and had a collection of twenty-four guitars when he died in 2001 and also studied piano in the 1960s with the same teacher as Paul Wickens, the pianist who plays in Paul McCartney’s band (and composed the music for the 2004–2005 editions of the Hitchhiker’s Guide radio series). The Beatles, Pink Floyd and Procol Harum all had important influence on Adams’s work.Adams included a direct reference to Pink Floyd in the original radio version of The Hitchhiker’s Guide to the Galaxy, in which he describes the main characters surveying the landscape of an alien planet while Marvin, their android companion, hums Pink Floyd’s “Shine on You Crazy Diamond”. This was cut out of the CD version. Adams also compared the various noises that the kakapo makes to “Pink Floyd studio out-takes” in his nonfiction book on endangered species, Last Chance to See. Adams’s official biography shares its name with the song “Wish You Were Here” by Pink Floyd. Adams was friends with Pink Floyd guitarist David Gilmour and, on the occasion of Adams’s 42nd birthday (the number 42 having special significance, being the Answer to the Ultimate Question of Life, the Universe and Everything and also Adams’s age when his daughter Polly was born), he was invited to make a guest appearance at Pink Floyd’s 28 October 1994 concert at Earls Court in London, playing guitar on the songs “Brain Damage” and “Eclipse”. Adams chose the name for Pink Floyd’s 1994 album, The Division Bell, by picking the words from the lyrics to one of its tracks, namely “High Hopes”. Gilmour also performed at Adams’s memorial service following his death in 2001, and what would have been Adams’ 60th birthday party in 2012.Douglas Adams was also a friend of Gary Brooker, the lead singer, pianist and songwriter of the progressive rock band Procol Harum. Adams is known to have invited Brooker to one of the many parties that Adams held at his house. On one such occasion Gary Brooker performed the full version of his hit song “A Whiter Shade of Pale”. Brooker also performed at Adams’s memorial service. Adams also appeared on stage with Brooker to perform “In Held Twas in I” at Redhill when the band’s lyricist Keith Reid was not available.Adams was also an advocate for environmental and conservation causes, and a lover of fast cars, cameras, and the Apple Macintosh, and was a staunch atheist. Biologist Richard Dawkins also dedicated his book, The God Delusion, to Adams, writing on his death that, “Science has lost a friend, literature has lost a luminary, the mountain gorilla and the black rhino have lost a gallant defender. Marley and Neville Livingston (later known as Bunny Wailer) had been childhood friends in Nine Mile and started to play music together while at Stepney Primary and Junior High School.Marley left Nine Mile with his mother when he was 12 and moved to Trenchtown, Kingston. Cedella Booker and Thadeus Livingston (Bunny Wailer’s father) had a daughter together whom they named Pearl, who was a younger sister to both Bob and Bunny. Now that Marley and Livingston were living together in the same house in Trenchtown, their musical explorations deepened to include the latest R&B from American radio stations whose broadcasts reached Jamaica, and the new Ska music.The move to Trenchtown was proving to be fortuitous, and Marley soon found himself in a vocal group with Bunny Livingston, Peter Tosh, Beverley Kelso and Junior Braithwaite. Joe Higgs, who was part of the successful vocal act Higgs & Wilson, resided on 3rd St., and his singing partner Roy Wilson had been raised by the grandmother of Junior Braithwaite. Higgs and Wilson would rehearse at the back of the houses between 2nd and 3rd Streets, and it wasn’t long before Marley (now residing on 2nd St), Junior Braithwaite and the others were congregating around this successful duo. Marley and the others didn’t play any instruments at this time, and were more interested in being a vocal harmony group. Higgs was glad to help them develop their vocal harmonies, although more importantly, he had started to teach Marley how to play guitar — thereby creating the bedrock that would later allow Marley to construct some of the biggest-selling reggae songs in the history of the genre. In February 1962, Marley recorded four songs, “Judge Not”, “One Cup of Coffee”, “Do You Still Love Me?” and “Terror”, at Federal Studio for local music producer Leslie Kong. Three of the songs were released on Beverley’s with “One Cup of Coffee” being released under the pseudonym Bobby Martell. In 1963, Bob Marley, Bunny Wailer, Peter Tosh, Junior Braithwaite, Beverley Kelso, and Cherry Smith were called The Teenagers. They later changed the name to The Wailing Rudeboys, then to The Wailing Wailers, at which point they were discovered by record producer Coxsone Dodd, and finally to The Wailers. Their single “Simmer Down” for the Coxsone label became a Jamaican #1 in February 1964 selling an estimated 70,000 copies.The Wailers, now regularly recording for Studio One, found themselves working with established Jamaican musicians such as Ernest Ranglin (arranger “It Hurts To Be Alone”),the keyboardist Jackie Mittoo and saxophonist Roland Alphonso. By 1966, Braithwaite, Kelso, and Smith had left The Wailers, leaving the core trio of Bob Marley, Bunny Wailer, and Peter Tosh. In 1966, Marley married Rita Anderson, and moved near his mother’s residence in Wilmington, Delaware in the United States for a short time, during which he worked as a DuPont lab assistant and on the assembly line at a Chrysler plant, under the alias Donald Marley. Though raised as a Catholic, Marley became interested in Rastafarian beliefs in the 1960s, when away from his mother’ influence.After returning to Jamaica Marley formally converted to Rastafari and began to grow dreadlocks. The Rastafarian proscription against cutting hair is based on the biblical Samson who as a Nazarite was expected to make certain religious vows After a financial disagreement with Dodd, Marley and his band teamed up with Lee “Scratch” Perry and his studio band, The Upsetters. Although the alliance lasted less than a year, they recorded what many consider The Wailers’ finest work. Marley and Perry split after a dispute regarding the assignment of recording rights, but they would remain friends and work together again. Between 1968 and 1972, Bob and Rita Marley, Peter Tosh and Bunny Wailer re-cut some old tracks with JAD Records in Kingston and London in an attempt to commercialise The Wailers’ sound. Bunny later asserted that these songs “should never be released on an album … they were just demos for record companies to listen to”. In 1968, Bob and Rita visited songwriter Jimmy Norman at his apartment in the Bronx. Norman had written the extended lyrics for Kai Winding’s “Time Is on My Side” (covered by the Rolling Stones) and had also written for Johnny Nash and Jimi Hendrix.A three-day jam session with Norman and others, including Norman’s co-writer Al Pyfrom, resulted in a 24-minute tape of Marley performing several of his own and Norman-Pyfrom’s compositions. This tape is, according to Reggae archivist Roger Steffens, rare in that it was influenced by pop rather than reggae, as part of an effort to break Marley into the American charts. According to an article in The New York Times, Marley experimented on the tape with different sounds, adopting a doo-wop style on “Stay With Me” and “the slow love song style of 1960′s artists” on “Splish for My Splash”.An artist yet to establish himself outside his native Jamaica, Marley lived in Ridgmount Gardens,Bloomsbury, during 1972. In 1972, Bob Marley signed with CBS Records in London and embarked on a UK tour with American soul singer Johnny Nash.While in London the Wailers asked their road manager Brent Clarke to introduce them to Chris Blackwell who had licensed some of their Coxsone releases for his Island Records. The Wailers intended to discuss the royalties associated with these releases instead the meeting resulted in the offer of an advance of £4,000 to record an album. since Jimmy Cliff, Island’s top reggae star, had recently left the label, Blackwell was primed for a replacement. In Marley, Blackwell recognized the elements needed to snare the rock audience: “I was dealing with rock music, which was really rebel music. I felt that would really be the way to break Jamaican music. But you needed someone who could be that image. When Bob walked in he really was that image.” the Wailers returned to Jamaica to record at Harry J’s in Kingston which resulted in the album Catch a Fire. Primarily recorded on an eight-track Catch a Fire marked the first time a reggae band had access to a state-of-the-art studio and were accorded the same care as their rock ‘n’ roll peers.Blackwell desired to create “more of a drifting, hypnotic-type feel than a reggae rhythm”,and restructured Marley’s mixes and arrangements. Marley travelled to London to supervise Blackwell’s overdubbing of the album which included tempering the mix from the bass-heavy sound of Jamaican music and omitting two tracks. The Wailers’ first album for Island, Catch a Fire, was released worldwide in April 1973, packaged like a rock record with a uniqueZippo lighter lift-top. Initially selling 14,000 units, it didn’t make Marley a star, but received a positive critical reception. It was followed later that year by the album Burnin’ which included the song “I Shot the Sheriff”. Eric Clapton was given the album by his guitarist George Terry in the hope that he would enjoy it.Clapton was suitably impressed and chose to record a cover version of “I Shot the Sheriff” which became his first US hit since “Layla” two years earlier and reached #1 on the Billboard Hot 100 on 14 September 1974.Many Jamaicans were not keen on the new reggae sound on Catch a Fire, but the Trenchtown style of Burninfound fans across both reggae and rock audiences.During this period, Blackwell gifted his Kingston residence and company headquarters at 56 Hope Road (then known as Island House) to Marley. Housing Tuff Gong Studios, the property became not only Marley’s office, but also his home.The Wailers were scheduled to open seventeen shows in the US for Sly and the Family Stone. After four shows, the band was fired because they were more popular than the acts they were opening for. the Wailers broke up in 1974 with each of the three main members pursuing solo careers. The reason for the breakup is shrouded in conjecture; some believe that there were disagreements amongst Bunny, Peter, and Bob concerning performances, while others claim that Bunny and Peter simply preferred solo work. Despite the break-up, Marley continued recording as “Bob Marley & The Wailers”. His new backing band included brothers Carlton and Aston “Family Man” Barrett on drums and bass respectively, Junior Marvin and Al Andersonon lead guitar, Tyrone Downie and Earl “Wya” Lindo on keyboards, and Alvin “Seeco” Patterson on percussion. The “I Threes”, consisting of Judy Mowatt,Marcia Griffiths, and Marley’s wife, Rita, provided backing vocals. In 1975, Marley had his international breakthrough with his first hit outside Jamaica, “No Woman, No Cry”, from the Natty Dread album. this was followed by his breakthrough album in the United States, Rastaman Vibration (1976), which reached the Top 50 of the Billboard Soul Charts. On 3 December 1976, two days before “Smile Jamaica”, a free concert organised by the Jamaican Prime Minister Michael Manley in an attempt to ease tension between two warring political groups, Marley, his wife, and manager Don Taylor were wounded in an assault by unknown gunmen inside Marley’s home. Taylor and Marley’s wife sustained serious injuries, but later made full recoveries. Bob Marley received minor wounds in the chest and arm.The attempt on his life was thought to have been politically motivated, as many felt the concert was really a support rally for Manley. Nonetheless, the concert proceeded, and an injured Marley performed as scheduled, two days after the attempt. When asked why, Marley responded, “The people who are trying to make this world worse aren’t taking a day off. How can I?” The members of the group Zap Pow played as Bob Marley’s backup band before a festival crowd of 80,000 while members of The Wailers were still missing or in hiding.Marley left Jamaica at the end of 1976, and after a month-long “recovery and writing” sojourn at the site of Chris Blackwell’s Compass Point Studios in Nassau, Bahamas, arrived in England, where he spent two years in self-imposed exile. Whilst in England, he recorded the albums Exodus and Kaya. Exodus stayed on the British album charts for fifty-six consecutive weeks. It included four UK hit singles: “Exodus”, “Waiting in Vain”, “Jamming”, and “One Love” (a rendition of Curtis Mayfield’s hit, “People Get Ready”). During his time in London, he was arrested and received a conviction forpossession of a small quantity of cannabis.In 1978, Marley returned to Jamaica and performed at another political concert, the One Love Peace Concert, again in an effort to calm warring parties. Near the end of the performance, by Marley’s request, Michael Manley (leader of then-ruling People’s National Party) and his political rival Edward Seaga(leader of the opposing Jamaica Labour Party), joined each other on stage and shook hands.Under the name Bob Marley and the Wailers eleven albums were released, four live albums and seven studio albums. The releases included Babylon by Bus, a double live album with thirteen tracks, were released in 1978 and received critical acclaim. This album, and specifically the final track “Jamming” with the audience in a frenzy, captured the intensity of Marley’s live performances. Survival, a defiant and politically charged album, was released in 1979. Tracks such as “Zimbabwe”, “Africa Unite”, “Wake Up and Live”, and “Survival” reflected Marley’s support for the struggles of Africans. His appearance at the Amandla Festival in Boston in July 1979 showed his strong opposition to South African apartheid, which he already had shown in his song “War” in 1976. In early 1980, he was invited to perform at the 17 April celebration ofZimbabwe’s Independence Day. 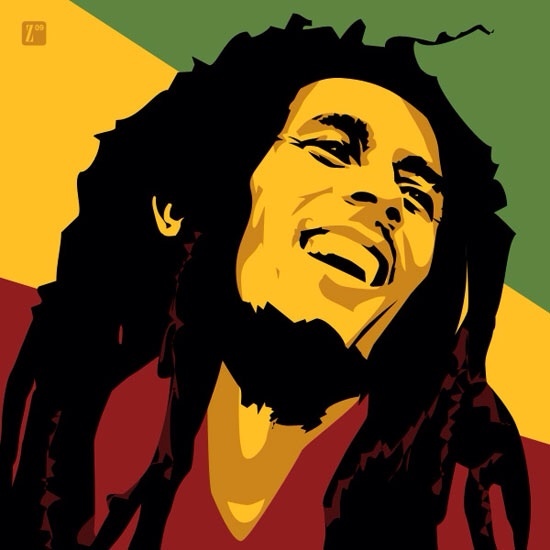 Uprising (1980) was Bob Marley’s final studio album, and is one of his most religious productions; it includes “Redemption Song” and “Forever Loving Jah”.Confrontation, released posthumously in 1983, contained unreleased material recorded during Marley’s lifetime, including the hit “Buffalo Soldier” and new mixes of singles previously only available in Jamaica. This was his last concert, and shortly afterwards, Marley’s health deteriorated the cancer had spread throughout his body. The rest of the tour was cancelled and Marley sought treatment at the Bavarian clinic of Josef Issels, where he received a controversial type of cancer therapy without success for eight months so Marley boarded a plane for his home in Jamaica. While flying home from Germany to Jamaica, Marley’s vital functions worsened. After landing in Miami, Florida, he was taken to the hospital for immediate medical attention. Bob Marley died on 11 May 1981 at Cedars of Lebanon Hospital in Miami (now University of Miami Hospital); he was 36 years old. Marley received a state funeral in Jamaica on 21 May 1981, which combined elements ofEthiopian Orthodoxy and Rastafari tradition. e was buried in a chapel near his birthplace with his red Gibson Les Paul (some accounts say it was a Fender Stratocaster). The late John Rutsey, Canadian ex-drummer with rock band R ush) sadly passed away 11 May 1974. Rush were formed in August 1968, in the Willowdale neighbourhood of Toronto, Ontario. The band is composed of bassist, keyboardist, an lead vocalist Geddy Lee, guitarist and backing vocalist Alex Lifeson, and drummer, percussionist and lyricist Neil Peart. The band and its membership went through a number of re-configurations between 1968 and 1974, Neil Peart replaced original drummer John Rutsey in July 1974, two weeks before the group’s first United States tour, during which they played Agora Ballroom, Cleveland, which also became Rush s very first radio broadcast and the concert is featured on the Album “ABC 1974″.The year after, Rush also played songs from the groups second album Fly by Night and would go onto play many more shows at Agora Ballroom. Since the release of the band’s self-titled debut album in March 1974, Rush have become known for their musicianship, complex compositions, and eclectic lyrical motifs drawing heavily on science fiction, fantasy, and philosophy. Rush’s music style has changed over the years, beginning with blues-inspired heavy metal on their first album, then encompassing hard rock, progressive rock, and a period with heavy use of synthesizers. They have been cited as an influence by various musical artists, including Metallica Primus, and The Smashing Pumpkins, as well as progressive metal bands such as Dream Theater and Symphony X.Rush has won a number of Juno Awards, and was inducted into the Canadian Music Hall of Fame in 1994. Over their careers, the members of Rush have been acknowledged as some of the most proficient players on their respective instruments, with each band member winning numerous awards in magazine readers’ polls. As a group, Rush possesses 24 gold records and 14 platinum (3 multi-platinum) records. Rush’s sales statistics place them third behind The Beatles and The Rolling Stones for the most consecutive gold or platinum studio albums by a rock band. Rush also ranks 79th in U.S. album sales, with 25 million units. Although total worldwide album sales are not calculated by any single entity, as of 2004 several industry sources estimated Rush’s total worldwide album sales at over 40 million units. 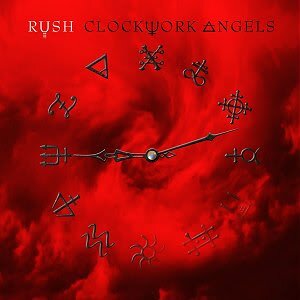 Rush’s latest studio album, Clockwork Angels was released in 2012. 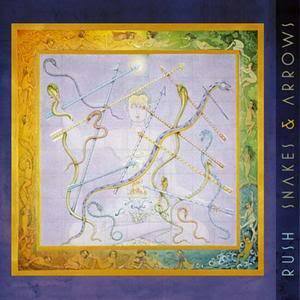 It was first album in five years since, 2007’s “SNAKES & ARROWS.” and is the band’s 20th studio album. The first single from the album was “Headlong Flight” and Rush also toured.